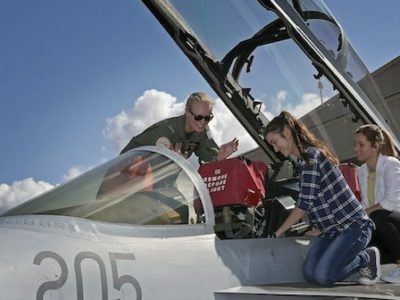 The Royal Australian Air Force (RAAF) is sponsoring two Australian Women Pilots’ Association (AWPA) scholarships for aspiring female pilots. The first is a Navigation Component Scholarship worth $7,000 to cover the cost of completing the navigation component of a private or commercial powered fixed-wing pilot licence. The second scholarship helps with gaining a formation or aerobatic endorsement and is worth $2,500.